Hey there! This is Matt from Fox Airsoft writing to you here. Thanks for your interest in a Fox Airsoft Sponsorship! Before I explain the whole sponsorship process I want to go over what we at Fox Airsoft are all about. I started playing airsoft in the late 1990's when airsoft was a very small and niche hobby. Information was very limited and it was hard to find airsoft retailers in the US let alone a good selection where I am from. Just about all of our airsoft guns and upgrades were expensive and came from overseas. It was with a couple of the guys on my team that we had the vision to create Fox Airsoft, a full service shop in the early 2000's. 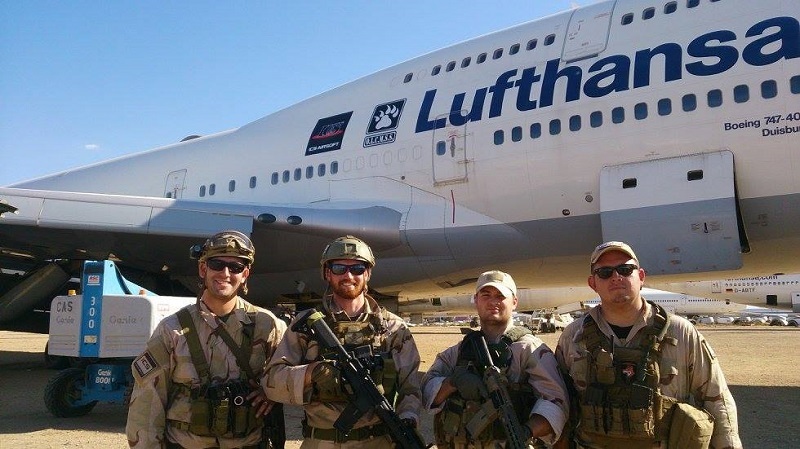 As players we took our experiences and translated them over to become a professional airsoft business to provide you with quality airsoft solutions. We know from personal experience what works and what doesn't and we try to convey that when you come for us for help. Now with the growth of the sport nationwide, getting into the game is much easier and less expensive than it has ever been before. With the vast amounts of information and personalities out there on the internet, nowadays it is not very hard to learn about airsoft. We want to partner with individuals or groups who share the same passion as we do and grow each other along the way. We see a lot of smart, driven, enterprising people out there who give good exposure on the sport and provide knowledge and are generally helpful to others. These are the types of people we want to work with. The perks of sponsorship with us include being able to review new products first hand as they come to us, discounts, and free stuff of course. But this does not come without hard work. We get asked thousands of times a day for free stuff and this is not what sponsorship is all about. Sponsorship and being referral partners means working for those perks. Fox Airsoft is a brick and mortar small business with very humble beginnings and we want to grow but also in return grow the people we partner with. Successful partners have gone on to get sponsorship from many bigger companies, grown their social media and subscription influence greatly, and have developed knowledge to grow the sport in their own respective areas. If you are very marketing minded this could be the opportunity for you. Personality-wise we look for people with great attitudes, great sportsmanship, displays integrity, and excellent with communicating. Right now our criteria is being redefined. We're looking for people who have established social media channels (Facebook, Instagram, Twitter, and Youtube), skilled at video content creation, and have some creative thinking skills. We get many requests daily so if your intent is to ask for free stuff, please move on. That being said we look forward to hearing from you and your exciting ideas. This could be the start of some great opportunities!